Albeit Elvira and I are affiliated with Harvard University we are unfortunately located in the boring "Longwood/Fenway" health campus rather that the historic campus in Cambridge. 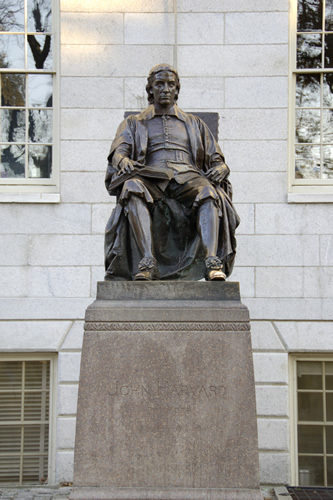 Last Sunday we thus took a stroll in Cambridge to see the beautiful historic sites such as Harvard Yard. Harvard is the oldest college in the USA, founded in 1636, and has educated six US presidents and several Nobel laureates. Another beautiful historic place in Boston! The stroll also gave me an oppotunity to play around with Elvira's fisheye lens which gave some funny looking pictures shown here.